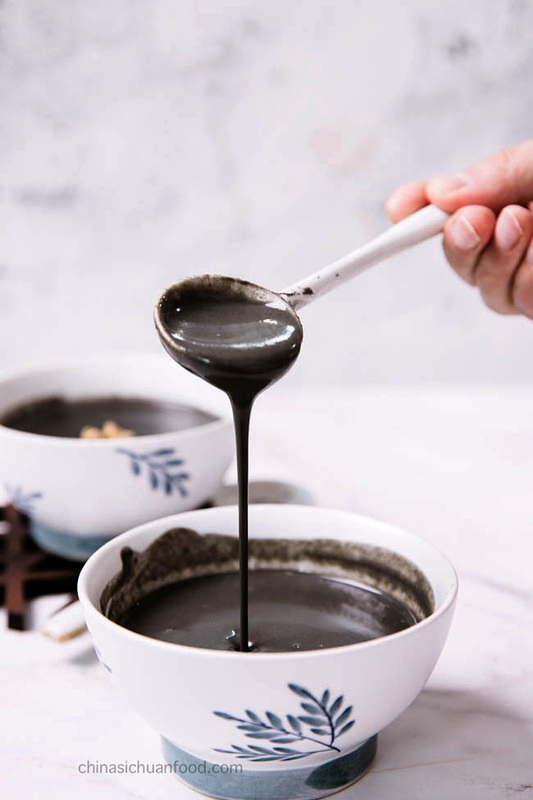 This is an old fashioned Chinese dessert—black sesame soup or black sesame paste. Black sesame is considered to be healthy especially for hair and kidney. 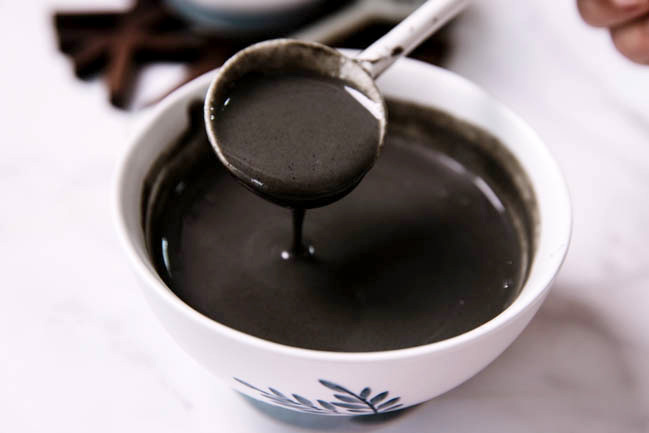 However the most precious memory for me was waiting my grandmother to buy some black sesame soup powder from the vendor who was hawking outside. This healthy soup is perfect for breakfast or booting afternoon. 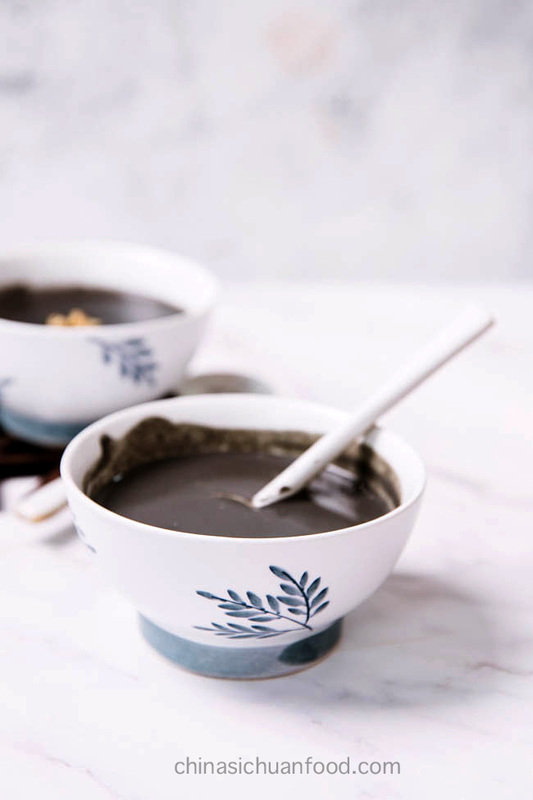 There are two version of black sesame soup, popular now. 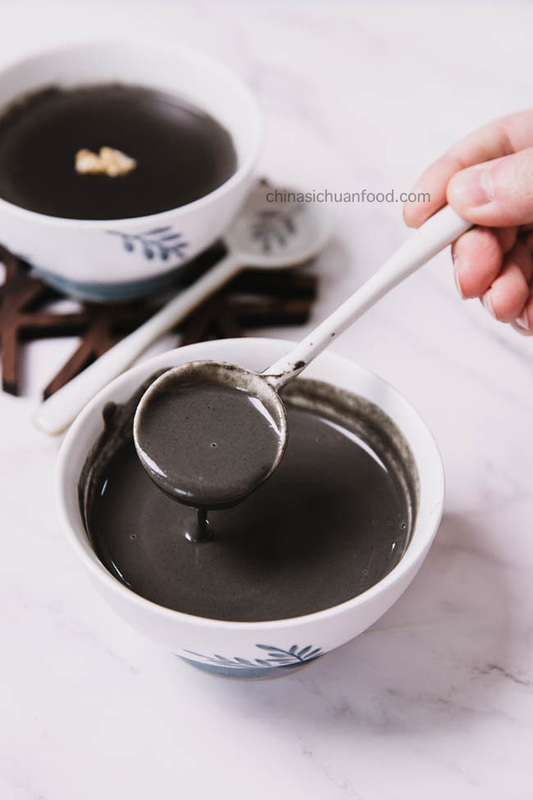 One is the traditional water milled (we use high speed blender now) and boiled version and the other one is instant version directly make from black sesame powder (黑芝麻粉). If you plan to serve it as a soup or side dish, make the boiled version directly with a kitchen blender. 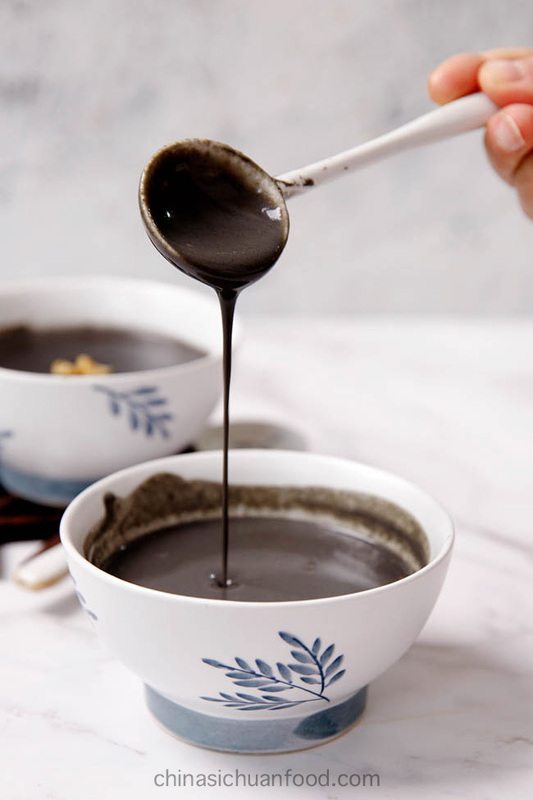 Black sesame power version can be used as an instant breakfast. Sticky rice usually is added along with black sesame soup in order to add the consistency of the soup. But it will turn the black sesame soup light grey. 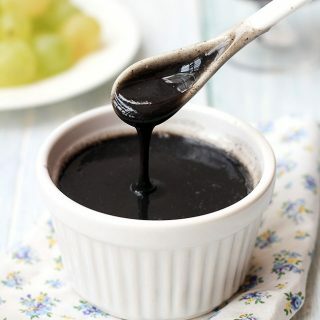 If you want to keep a pure black color, black or purple sticky rice might be a better option. Pre-soak the sticky rice overnight. Place toasted black sesame seeds, soaked sticky rice and water. Blender until very smoothie. My blender has a heating function. If your blender do not have the function, transfer out mixture out to a sauce pot. Bring to a boiling and then add sugar to taste. Ground toasted black sesame into powders. Then mix in sticky rice flour. Keep in air-tight container for next serving. To serve : Pour around 6 times boiling hot water of the powder mixture, add sugar and cover with lid for around 2 to 3 minutes. Mix well and serve hot! Surely you can adjust the amount of water according to personal preference. In a small pan, stir fry black sesame seeds over slow fire until fragrant. Keep stirring the seeds. Remove from heat and cool down. Soak sticky rice overnight. 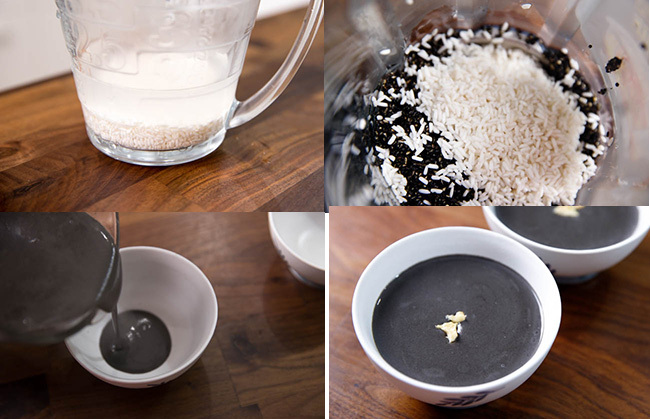 Place black sesame seeds, sticky rice and water into a blender. Blend until really smooth. Boil the mixture and add sugar to taste. In a small pan, stir fry the glutinous rice flour over slow fire until slightly brown. Keep stirring the flour. Remove from heat and cool down. 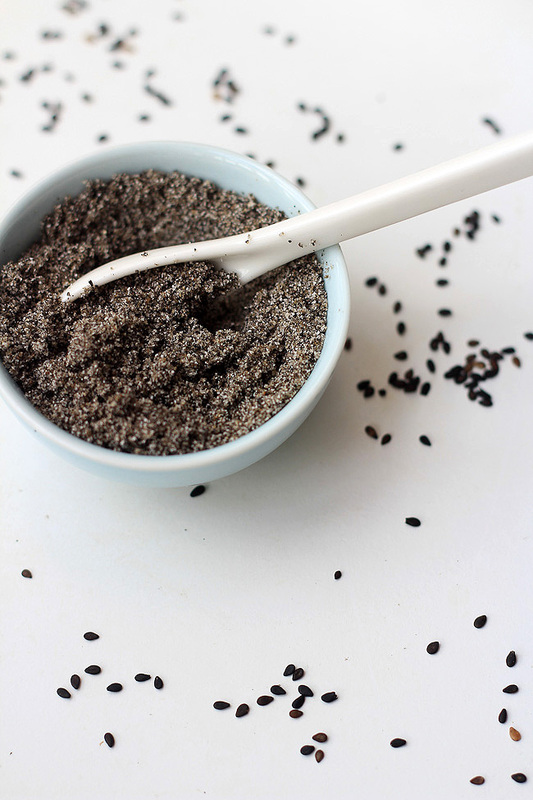 Pour the black sesame seeds to a grinder and grind into powder. Mix with glutinous rice flour. If you plan to make a larger amount at one time, keep the mixture in an air-tight container. To serve: pour around 6 times boiling hot water of the powder mixture, add sugar and cover with lid for around 2 to 3 minutes. Mix well and serve hot! Surely you can adjust the amount of water according to personal preference. This article was published by chinasichuanfood.com. Click here to read the original. © 2018 - 2019 China Market Advisor. All Rights Reserved.